Txunamy on Creating the Perfect Musical.ly, Working on Mani, and Advice for Her Fans | YAYOMG! 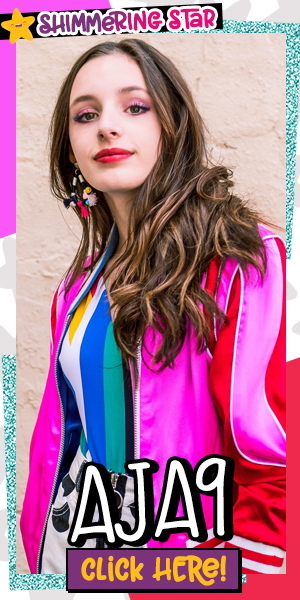 As you probably already know, we’re big fans of Brat here at YAYOMG!, so it’s been super fun for us to be able to chat with the cast members from their shows Mani and Boss Cheer. 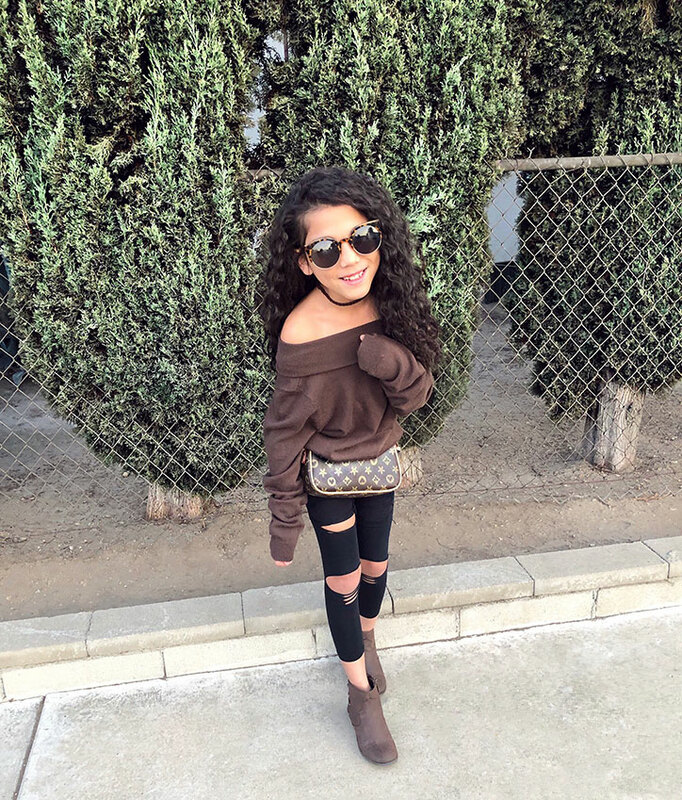 Today we’re featuring the amazing Txunamy – a YouTuber, Musical.ly queen, and total fashionista taking the world by storm. 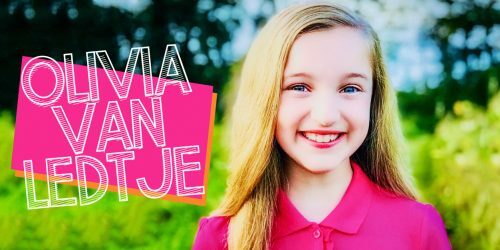 Txunamy appears on Mani as Brittany alongside Piper Rockelle and Hayley LeBlanc and a popular YouTube channel with her family called Familia Diamond. She also has her own personal channel where you can get a glimpse into her life, sharing room tours, Musical.ly tips, slime DIYs, and more. If you’re like us, you’re probably hugely inspired by Txunamy’s always on point wardrobe and sense of style. She’s always rocking some seriously fabulous outfits and manages to transform even the simplest tee into an #OOTD worthy masterpiece. It’s no wonder she’s about to drop her own fashion line! If you’re a Txunamy fan, you’re in luck! We chatted with her about working on Mani, her goals for the future, and her Musical.ly tips! You star on Mani as Brittany, one of Sky and Harmony’s best friends. What do you love most about working on the show? TXUNAMY: My favorite thing about working on set is that I get to hang out with my best friends while doing what I love. 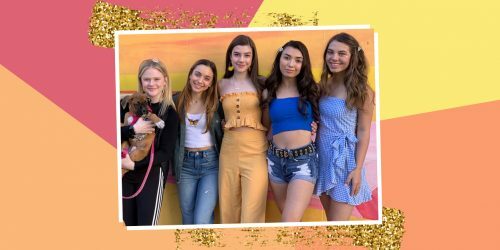 What is it like working with Piper Rockelle and Hayley LeBlanc? Are you as close off-set as you are on the show? TXUNAMY: Absolutely, YES! Hayley is one of my best friends and we hang out and talk all the time. With Piper, we aren’t as close as I am with Hayley, but we are still great friends! You are known for your awesome Musical.ly’s as well as your vlogs with your family on YouTube. How do you come up with all of your creative ideas and how do you stay inspired? TXUNAMY: I’m always looking to do different things, and get the craziest ideas. I’m a lefty and my parents say lefties are artistic, I don’t know about that…but I do get a lot of ideas that my parents let me put into action. Do you have any tips for other Musers out there who are hoping to step up their game a bit? TXUNAMY: PRACTICE!!! Practice, practice, I cannot say that enough. I practice on a daily basis and make sure I love the musically I made before setting it live. We noticed you make lots of slimes on your channel. Do you have a favorite type of slime? TXUNAMY: I think butter slime has to be my favorite at the moment. What are some ways that you like to relax? What do you like to do for fun? TXUNAMY: In my free time I love to sing, dance, and read. I can read all DAY! What are some goals you have for the future? TXUNAMY: To have my own show!! That’s definitely my goal for now. TXUNAMY: My advice is to be yourself. Never change for anyone, The right people will love you for who you are. Now that you know everything about Txunamy, get to know her Mani co-stars, Bryson Robinson and Brianni Walker!